Diverticulitis starts off as diverticulosis which is a condition in which the lining of the colon bulges outward. These bulges or pouches can be seen on an x-ray of the colon; the most common site of these outpouches is the lower part of the large intestine. People with diverticulosis are often not aware of their condition; it is a silent disorder without pain. However, if these pouches become infected with bacteria, it is called diverticulitis which leads to such symptoms as fever, cramping pains (usually in the lower left abdomen), nausea and changes in bowel habits. And, in more serious cases, rectal bleeding, abdominal abscesses and perforation may result. Obviously, this would be a medical emergency. Between 10% to 25% of patients with diverticulosis will develop diverticulitis. A low fiber diet has been conclusively shown to be a major factor in the development of diverticulosis & diverticulitis. The use of non-steroidal anti-inflammatory drugs has been identified as another contributing factor; in addition, multiple studies have shown a clear link between NSAID use and an increased use of diverticular hemorrhage. It has been found that smoking may increase the risk of complications of diverticular disease although it does not cause it. Lack of activity/obesity have been shown to increase the risk of diverticular disease, and studies show that obesity increase the risks of diverticulitis and diverticular bleeding significantly. Finally, chronic inflammation of the bowel tract from any cause greatly increases the risk of diverticulosis developing. 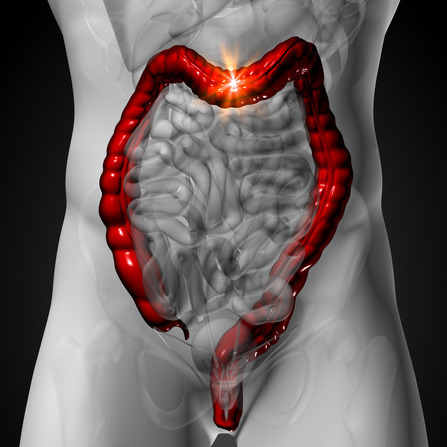 What is the holistic treatment of diverticulosis/diverticulitis? Avoid sugar and large heavy meals. increase water-soluble fiber intake (like glucomannan). Consider a comprehensive stool analysis to rule out parasitical, fungal, and/or bacterial overgrowth. Have a G.I. exam to rule out other concurrent bowel disorder and diseases. See a doctor who will take a comprehensive holistic approach to treatment.